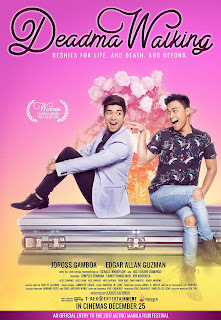 Deadma Walking is a 2017 Philippine comedy-drama musical film directed by Julius Alfonso. The film is about a terminally ill gay man who fakes his own death to attend his own wake to hear his friends views on him. 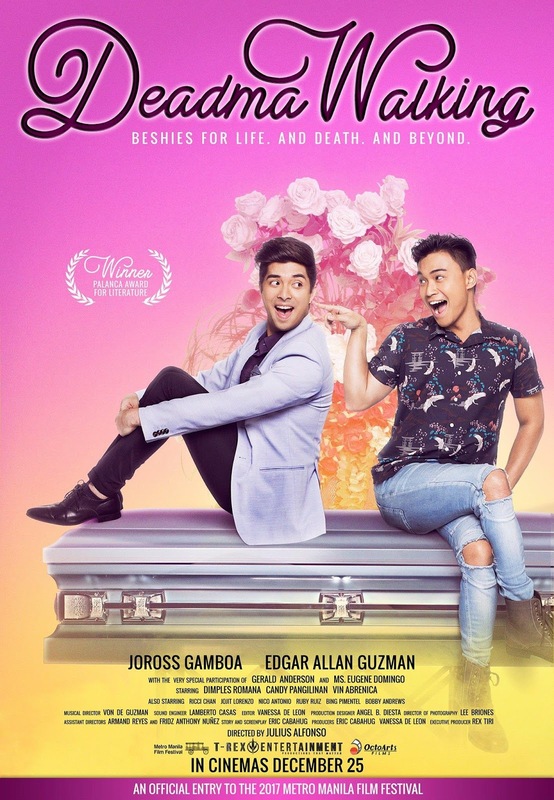 The film was commercially released in the Philippines on December 25, 2017 as part of the 43rd Metro Manila Film Festival. When we decided to watch this movie, I am thinking that this may be one of those over rated films, but I was wrong. Walang patay na moment sa movie, meaning you will enjoy every scenes. 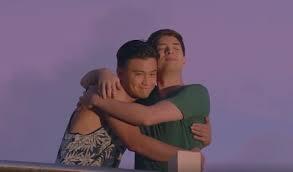 I got to give it to Joross and Edgar for playing the roles very well. Panay nga ang tanong sakin ng kaibigan ko na "bakla ba talaga si Edgar?" kasi talagang nakaka convince. Haha. 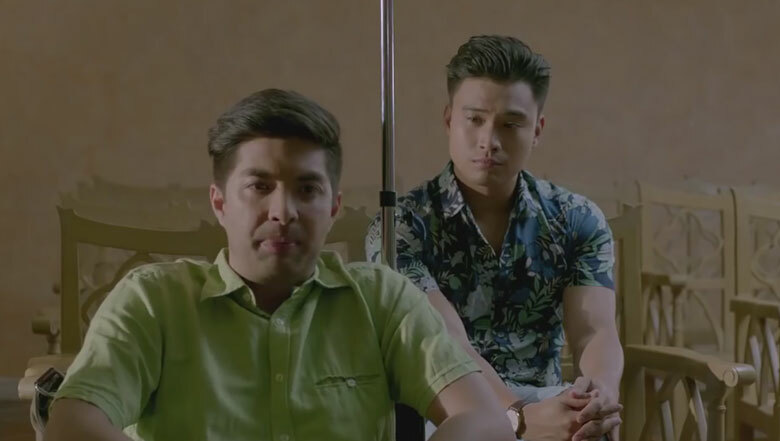 Nakakatuwa din ang mga cameo roles. Haha ang ganda nung pasok nila. Anyway, hands down to everyone behind this awesome movie.